Your support helps us share training with artists & caregivers, plus arts outreach with elders & others living with crisis or special needs. Upcoming Special Events - click the pics to learn more & buy some tix! Support what you love - thank you! Calling artists! Woodlawn invites you to sell your works at our May 22 event (above). 6-8 pm. No cost to enter. Apply here. You're invited to attend our programs and see our mission in action. You will enjoy being creative with participants; you will also get to know some of our exceptional artists. Some programs have restrictions; please call or email us to make arrangements for any program you'd like to attend. calendar of May programs. Calendars are updated at the first of the month. TAO volunteers Denise Pons and Anne Edwards spreading sunshine and making festival magic. 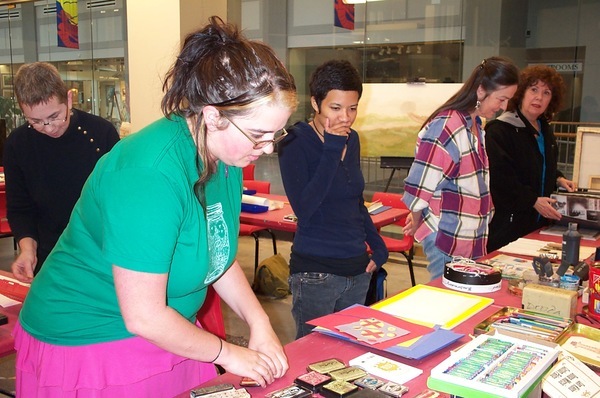 TAO exists to create opportunities for meaningful community service through the arts. Click here for our recent blog about the many volunteers behind TAO. Click here for a list of current volunteer needs. 1490 Outlaw Country, VEER and FM Restaurant for sponsoring. Sea Level Festival Hits Plenty of High Notes. Festival crowds enjoyed dozens of singer/songwriters onstage during our day on Granby Street to have fun and raise funds for TAO. 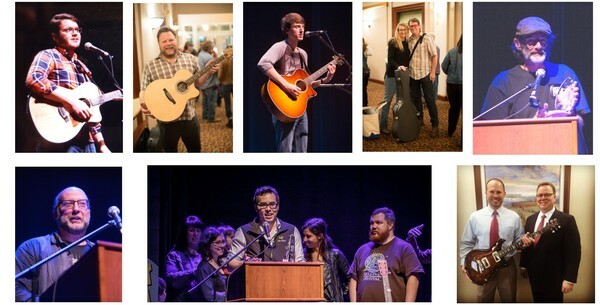 The photos below show some Festival winners: Clockwise from top left is Andy Geels, Emerging Artist 2016, Marck Weiss, PRS SE Angelus winner, Tom Euler, Emerging Artist 2015, Kate Landman (with hubby Drew), Fender guitar winner; Randy Hernandez and Nick Werner were both Womack Award winners for their years of dedication to the Festival. 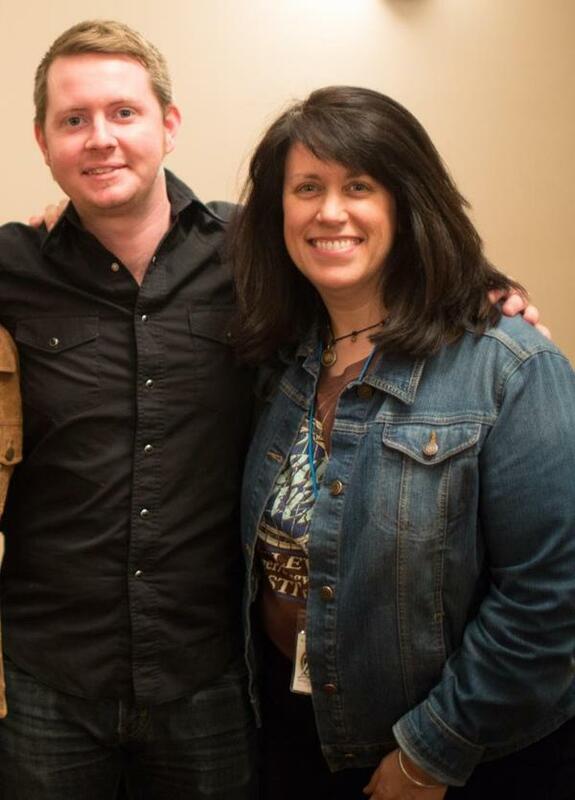 That award also honors Don Womack, a staunch festival supporter who left us too soon. Jpixx crew (Jon & Teviyah Abrahams, front and center) received the Beacon Award for outstanding support. Ryan Snow, pictured with TAO board member Steve Stancliff, won the PRS Hollowbody. Steve sold Ryan the winning ticket. Congratulations, everyone! 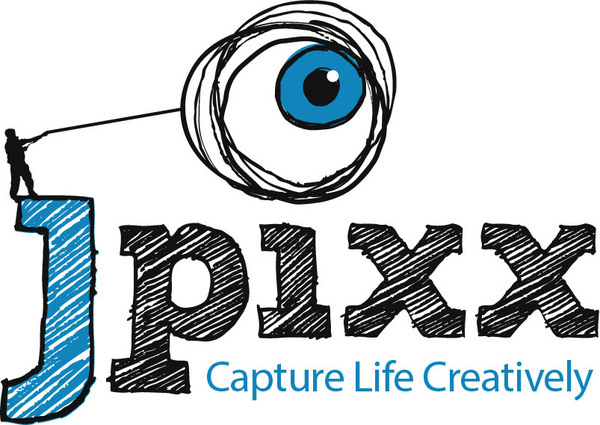 Festival sizzles with JPixx video reel. Click here to see a jpixx video recap of highlights from several years of Sea Level Festivals. It's smokin'! Another captcha: a 2016 photo-pictorial is here. ​VA Geriatric Training Initiative Grant from the Commonwealth of Virginia’s Geriatric Training and Education (G.T.E.) Fund allows TAO to create “A.L.I.V.E." 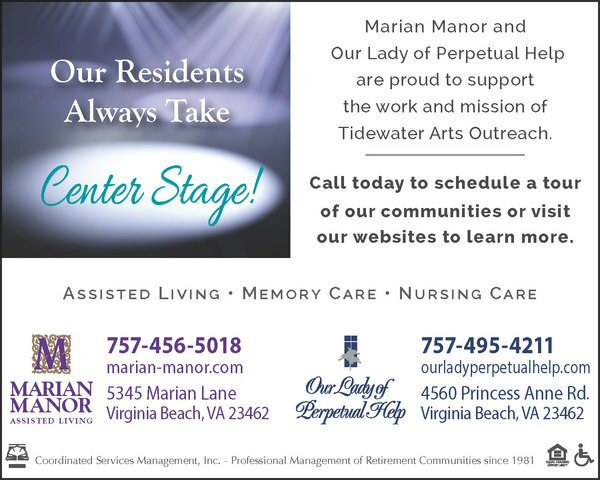 (Arts Learning Impacts Virginia’s Elders) arts in health caregiver training videos. "A.L.I.V.E." addresses the need for the arts to be used effectively for quality of life improvements in Virginia’s elders. We presented and filmed two training sessions that covered benefits and best practices for delivering live, high quality arts experiences. The trainings were co-presented by gerontologist Sonya Barsness and teaching artists Dr. Linda Teasley, DMA, MT-BC and Dr. Michele Martin Nielsen, DPT. Both sessions include theory/methodology and hands-on practice with elders. The resulting videos, due out in June, will be disseminated to Virginia geriatric care providers and will also be made available on TAO's website. TAO is awarded Alzheimer's Foundation of America grant. The Alzheimer's Foundation of America has awarded TAO a $5,000 grant to bring engaging, enriching programs to people living with dementia. They know, as we do, that participating in the arts helps people gain functional improvements through stimulation, socialization, creative self-expression, physical activity, and more. Comments like, "It's the first time I've seen my wife smile in six months," and " it brings out (my loved one's) personality, laughter, and feelings of self-worth." There is no pill that will do this. We are grateful to AFA for what their support will mean to people in our community. 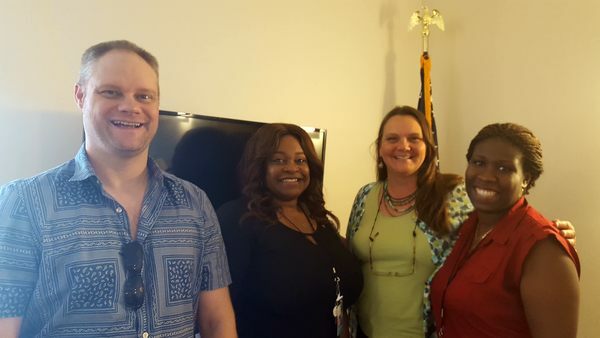 VA Stage Company Education and Outreach director Ryan Clemens, with Leah Williams (VBCDC Director of Programs & CQI), D'Arcy Weiss (TAO Creative Services Director) and Safiyyah Beckford (VBCDC Neighbor Advocate) at Cedar Grove Apartments. TAO and the VB Community Development Corp. are partnering on a new arts initiative for veterans. CHAI (Community Healing Arts Initiative) features two eight-week series of improv and visual arts, all for creative engagement, socialization and wellness purposes. The pilot began last week; we will keep you posted on our progress.